Kristin is a compassionate, skilled attorney who sets herself apart by providing her clients with excellent communication, transparency and quick response time. Adept at fighting for her client’s best interests, Kristin has a “work together” attitude to meet their needs and expectations. Having defended healthcare clients in litigation, regulation and employment issues, Kristin counsels her healthcare clients on how they can best protect themselves from the complexities of regulation in the industry. Her long-term care, skilled nursing and assisted living facility, medical device and surgery center clients seek her advice about minimum wage, unionization and other employment issues, medical malpractice claims, and regulatory charges. 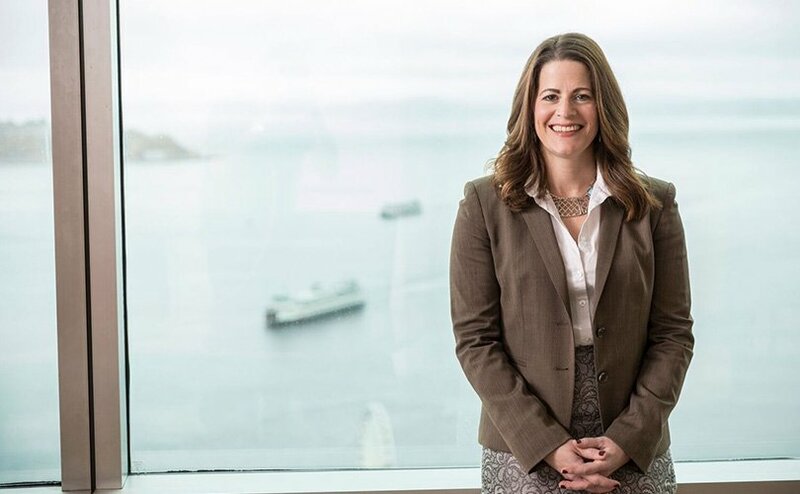 Kristin’s understanding of her client’s business, combined with her knowledge of the legal and regulatory framework every provider must navigate, enables her to provide clarity in the midst of an ever changing healthcare world. All employers must deal with the evolving web of federal and state employment laws. In addition to representing employers in state and federal court, Kristin defends clients in investigations by the EEOC, Department of Labor, and other state and local agencies. Kristin also works with companies on a wide array of employment matters, including hiring and termination, cybersecurity, healthcare, wage and hour, discrimination and harassment, and retaliation. She assists clients in drafting employment agreements, severance packages, employee handbooks, employment policies and developing strategies for avoiding problems resulting in litigation. Kristin represents investors, financial planners, wealth managers and other professionals in the financial services industry with various claims, including class actions, regulatory proceedings and customer claims. She also defends registered investment advisors, investment advisor representatives, investment bankers, broker-dealers and registered representatives in regulatory investigations and disciplinary actions brought by the U.S. Securities and Exchange Commission, FINRA and the State of Washington Department of Financial Institutions (DFI) Securities Division. Kristin is a trusted advisor to family members, trustees and personal representatives in disputes ranging from Will contests to interpretations of trust provisions. Her experience includes representing charities to ensure appropriate distribution under a Will, challenges to a Trustee’s withholding of information and inaction, challenging a Will because of undue influence and cases alleging breach of fiduciary duty against a trustee and personal representative. Executive and professional employment – helping business professionals and executives negotiate severance packages, negotiate non-compete and employment agreements and stock option agreements. Company and corporate liabilities – assisting with director and officer liability, contract and lease disputes, and lawsuits involving product liability, non-compete arrangements, unfair business practices and intellectual property. Kristin knows a legal issue has potential ramifications and she is adept at seeing around corners to avoid problems in helping decision makers make choices that are in the best interests of all facets of an organization. A native of Spokane, Washington, Kristin grew up under the influence of her father, at the time a small town attorney. While she gravitated toward business and finance early on in her education, her introduction to law came in middle school. Her dad came home one evening and read Kristin the rule on hearsay, while offering a number of examples of anticipated testimony. Kristin was quizzed by her father on whether or not she agreed with what might or might not qualify under the rule. Intrigued by the challenge, she never forgot that moment and would go on to bypass business school in favor of law school. After graduation from Boston University School of Law in 2002, Kristin knew Ryan Swanson was the place for her from the moment she stepped into the lobby. She enjoys coming to work every day and is thankful to work in a fun, supportive office with so many great people. When she is not in the office, Kristin enjoys spending her time learning about new things through exploring, travelling, reading and meeting new people. She is a proud Coug who lives in Kirkland with her husband and two kids, who are often on a soccer or baseball field nearby.